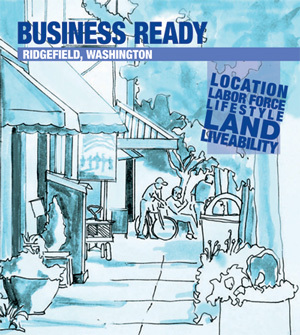 Economic Development - The City of Ridgefield, Washington | Forward Thinking. Rooted in Tradition. 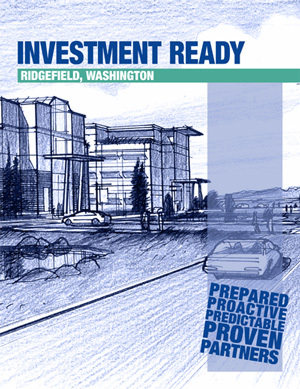 Economic development is essential to Ridgefield’s ability to sustain itself. Economic development helps to establish a balance of residential and employment opportunities, the basic elements of a complete community. A strong and diverse economy provides employment and a tax base that supports public services and a livable community. A diverse economic base also provides a variety of retail and service opportunities allowing residents to meet their needs locally. The City also recognizes that the provision of a quality public education enhances economic development. Although most economic activity is in the private sector, the City of Ridgefield’s role is to establish parameters that help private markets flourish, provide support and encourage beneficial economic development projects. Coordinate with project partners who are dedicated to economic development such as the Port of Ridgefield and Columbia River Economic Development Commission. Pursue development of three distinct subareas through the city, each with a complementary vision and development focus: downtown/waterfront, 45th & Pioneer, Ridgefield Junction. Attract and retain small-to mid-sized businesses with high growth potential. All offices are open 8am-5pm.